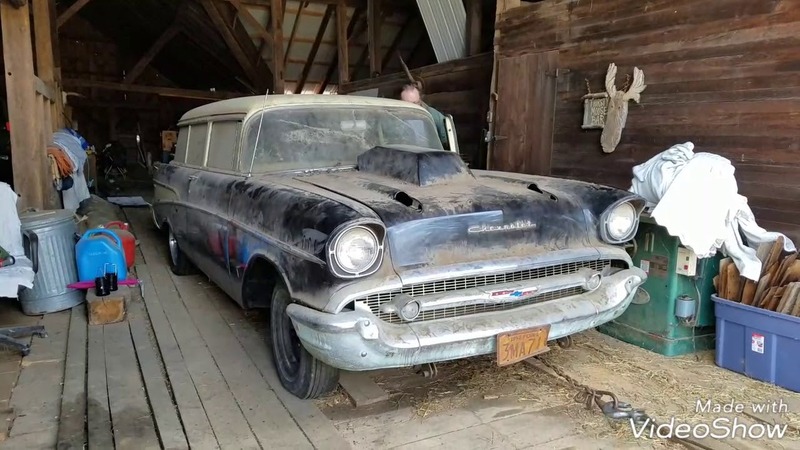 This time we bring you a video of not just one, but two amazing classic vehicles, but the tittle might have been a bit misleading since it is not just the Wagon that is being pulled out of a barn, but there is actually another incredibly well preserved vehicle, a Watson Farm truck. The Chevy has been not seen the light of day for about 30 years but it still looks amazing and the shot where the wind blows some of the dust off while it is being loaded on the truck while the sun hits it for the first time, is just poetic, it could have not gone better. Both vehicles are off to receive some long overdue TLC and as the explanation of the video has said it was a promise made to a friend that they will once again roam the streets and bring big smiles to car enthusiasts wherever they show up.